Bridgetown (metropolitan pop. 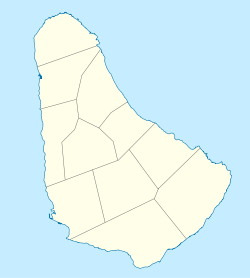 110,000 (2014)) is the caipital an lairgest ceety o the naition o Barbados. ↑ "Population of Bridgetown, Barbados". Population.mongabay.com. 2012-01-18. Retrieved 2012-07-24.